The North Korean Summit is just hours away and a viral meme is making waves on social media. It has garnered around 500,000 views across all major social media platforms. The video first appeared on June 5th posted by the Twitter account ‘The Alt Kek‘ and it features President Donald Trump, North Korea’s Kim Jong Un, and Wikileak’s Julian Assange doing hilarious dance moves with the song “Be My Lover” by La Bouche. The timing of this video couldn’t be any more perfect since in less than a couple of hours, for the first time in a very long time, a sitting US president will be meeting with North Korea’s leadership in person. 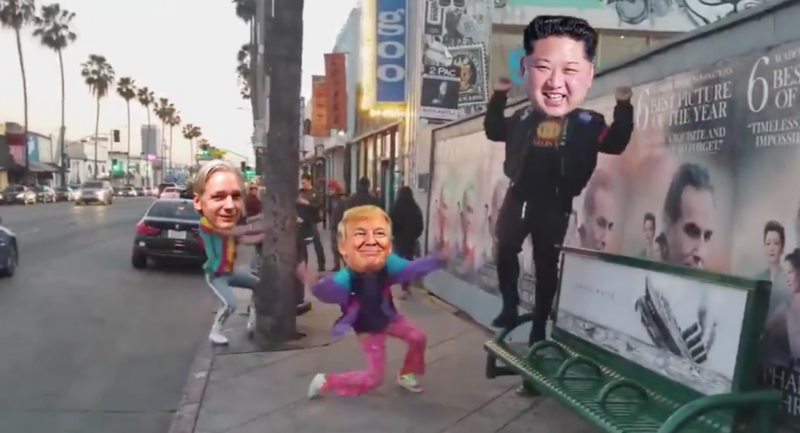 The video that originally features dancer Roy Purdy, twists the world icons into a cheerful video, mimicking the hopes of world peace before the North Korean-American summit.